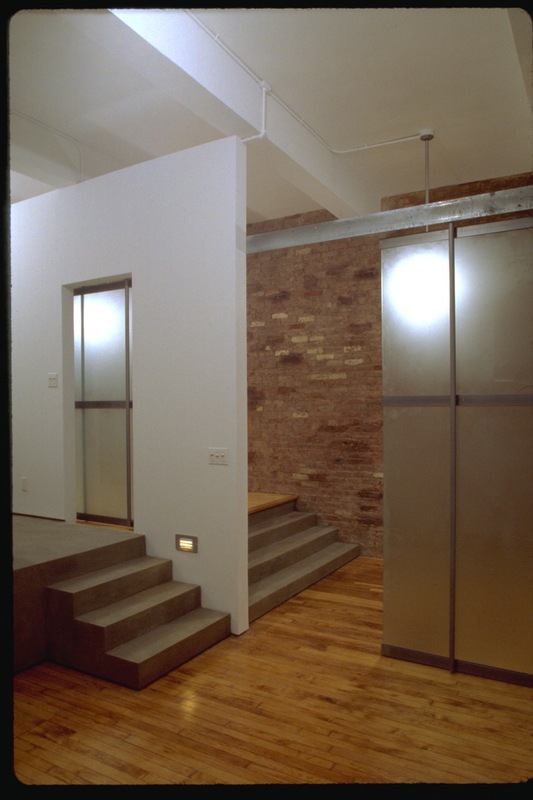 The Crow Loft is located in Manhattan on the third floor of a 1910 industrial building. The previous layout was entirely demolished to create a 2 bedroom residence for California-based musician. 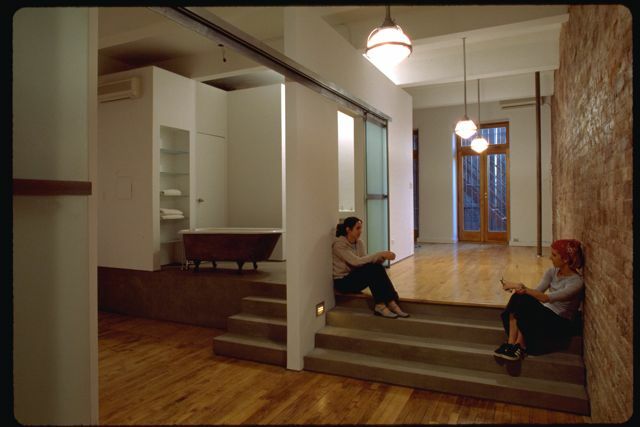 The space was designed around an eight foot wide corridor spanning the entire length of the one hundred foot interior space. 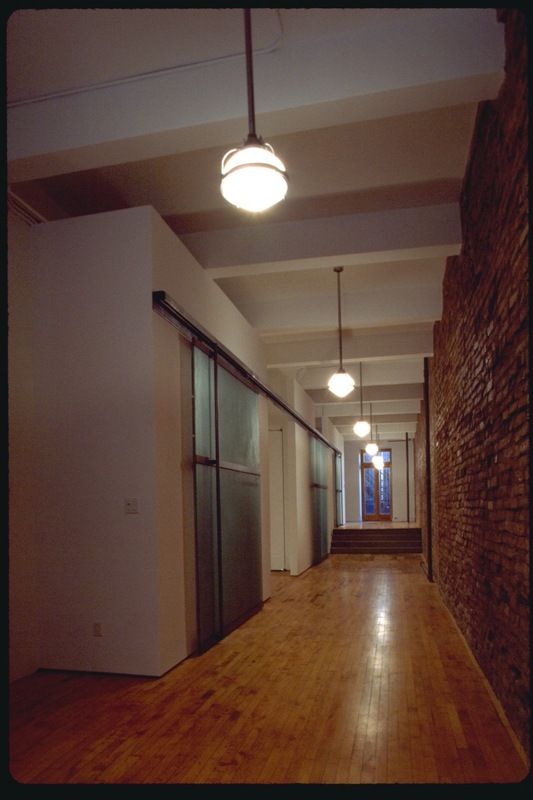 The corridor emphasizes the long and narrow character of the space while contributing size to each of the smaller rooms through ten foot wide door openings. 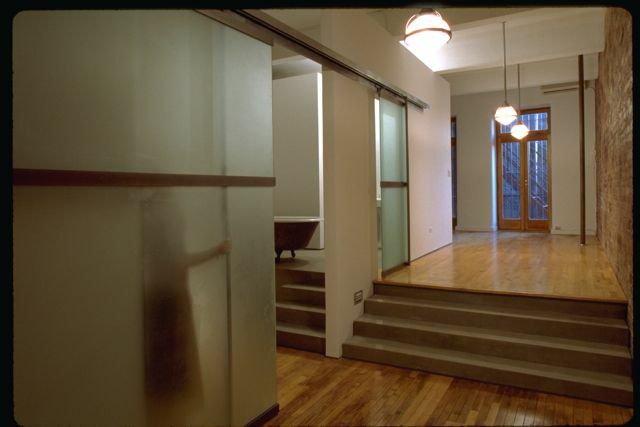 A fifty-foot track spans the corridor supporting large, sliding glass and steel doors. Space above doors is left open to provide ventillation when doors are in closed position. 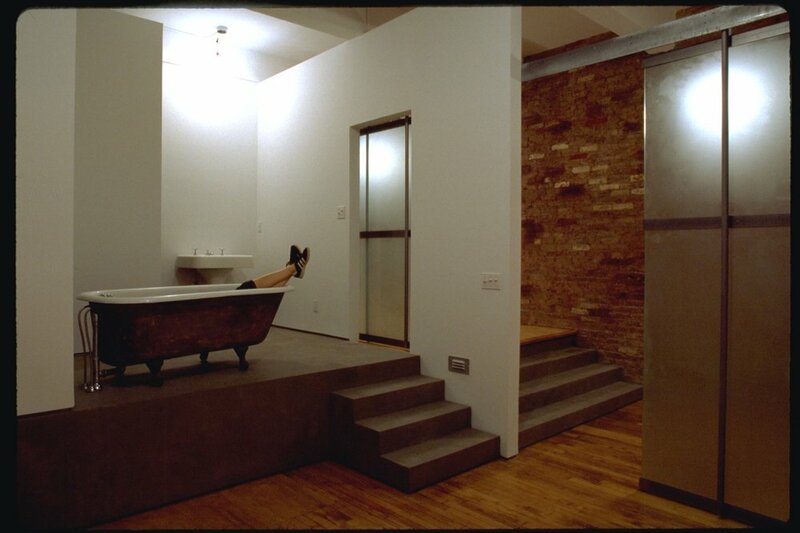 The salvaged claw-foot bath is elevated and open to the master bedroom with more private bathroom facilities located behind walls.